Fancy spray paint with a dozen different caps. Professional photographers. Scissor lifts. 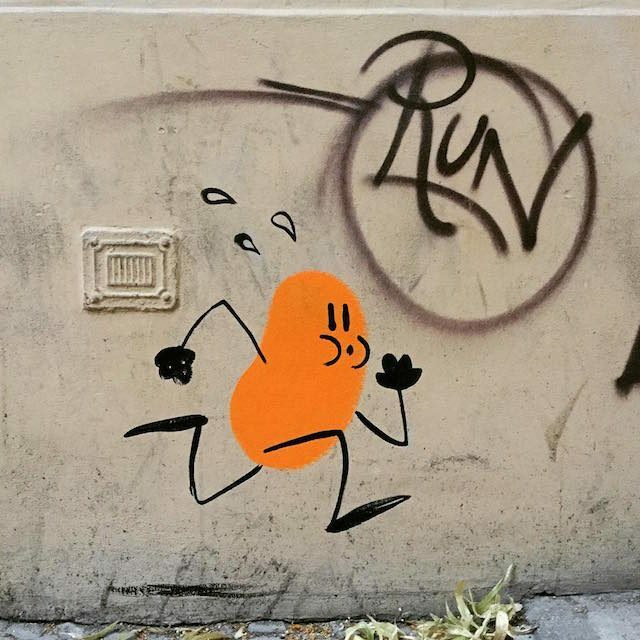 Street art doesn’t have to be so complicated. Just take Dave the Chimp. 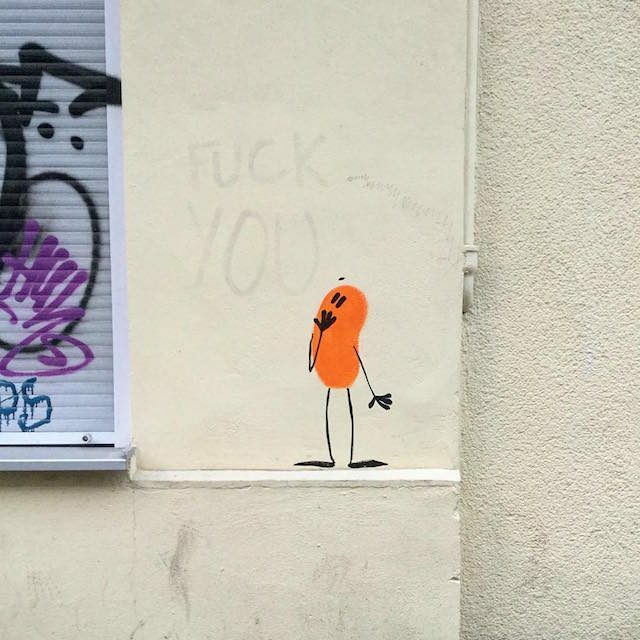 His little characters, “human beans” as he calls them, are generally simple and small figures, but because they’re site-specific, they’re more surprising than most bombastic murals. 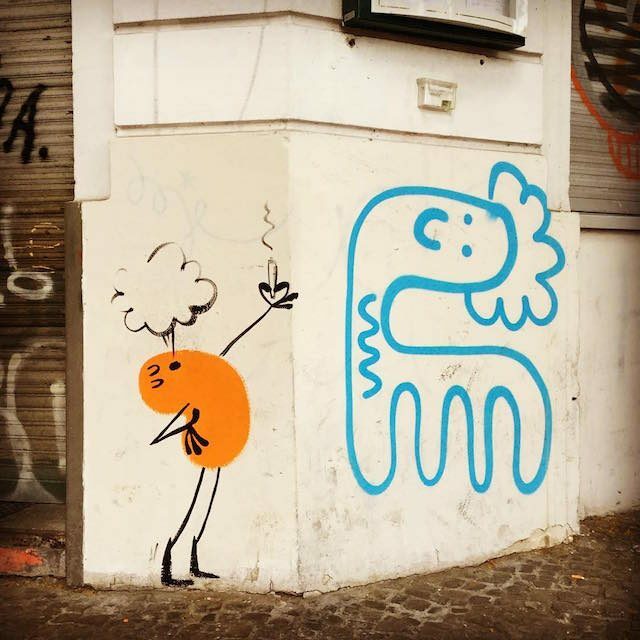 Dave’s beans respond to their environment, whether it’s acting shocked at strong language (or perhaps at the buff) or offering a joint to another street art character, Berlin’s walls are Dave’s playground. 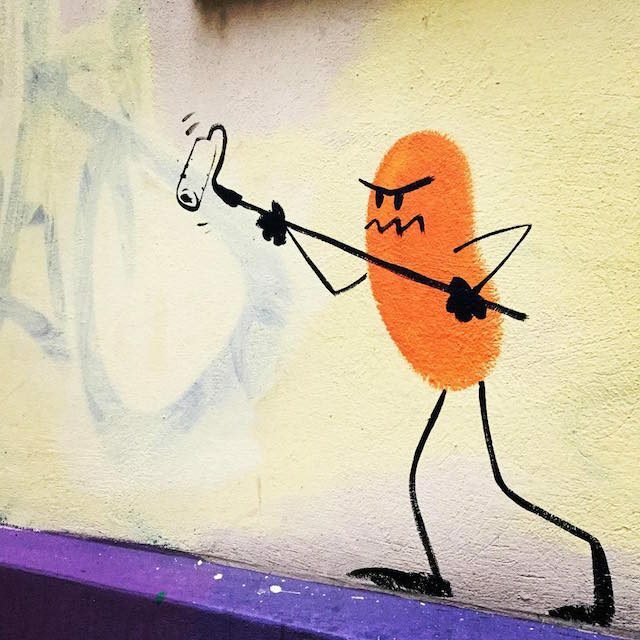 Since the best thing about Dave’s work is that there’s the potential for surprise in real life, the potential to look at a wall or a tag in a different way, it feels a bit silly to say this, but Dave only just got on Instagram, and I’d suggest giving him a follow. And can we all agree that we need more of this? 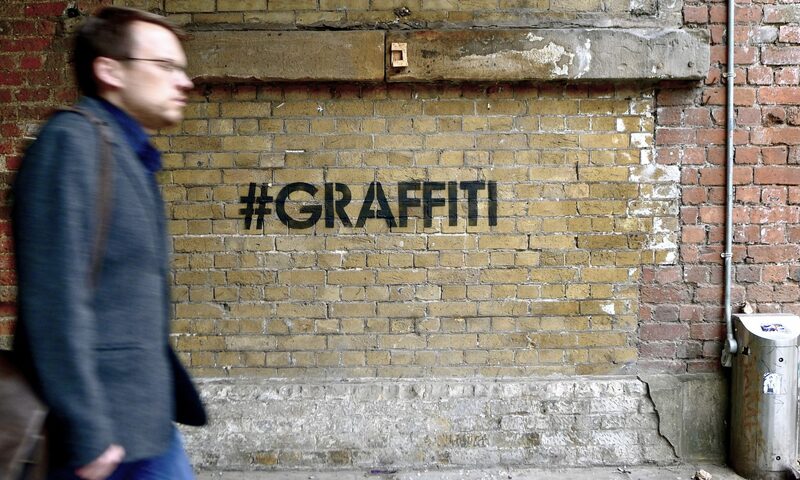 Is site-specific street art, something beyond wallpaper, too much to ask?